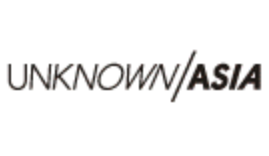 Showcasing a new language of AV, and embracing the whole structure of the audiovisual. It’s always exciting to feel like you’re a part of something “new”. Art, fashion and design fads come and go, but there’s always one thing artists can rely on to explore new territories, or push a few boundaries, and that’s our good friend the computer. And some of the most exciting explorations seem to be happening in the audiovisual realm, where artists are finding new ways to engage the senses through fusing moving images and sound with programming and innovative software tools. 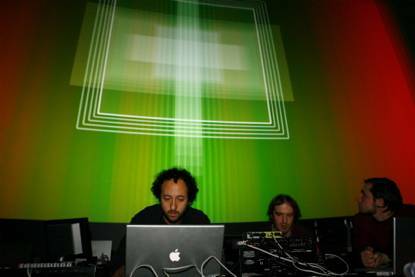 The Optronica Festival, held recently in London, set out to showcase this emerging artform. 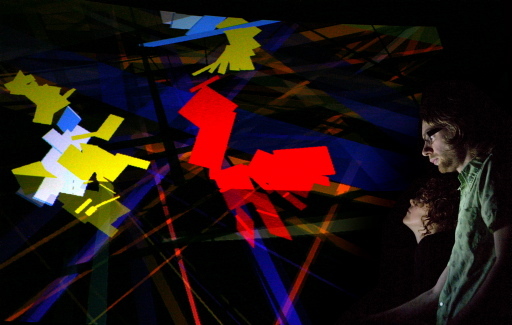 Often referred to as ‘AV’, or as stated on the Optronica program, ‘visual music’, the progam was held over five consecutive days, with live performances, talks, animation screenings and VJ workshops. Live sound performance on its own is powerful enough. Add the moving image, and artists suddenly have a lot on their hands to deal with. Which comes first, the sound or the image? Does the image trigger the sound or vice versa? 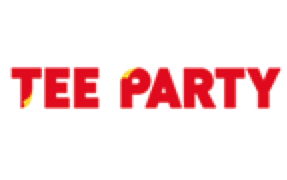 What is the relationship between the two? And as the audience, how should we expect to be entertained? All these questions only became more evident at the Optronica Festival, with performances by established artists from all sides of the AV spectrum, coming from backgrounds in professional art practice, cinema, music, DJ and VJ culture, and all interpreting the medium in different ways. The Festival opened at on a Wednesday night at the British Film Institute’s massive IMAX cinema, a sold-out and much anticipated event featuring music duo Lemon Jelly and DJ/music producer Trevor Jackson. With both artists known for their music bent rather than their visual exploits, it was a bold beginning. The potential of the huge screen and pumping speaker system was unleashed on the audience, with Lemon Jelly’s ‘Iota: Inventions of the Abstract’ piece, and Trevor Jackson’s ‘RGBPM’ both highly impactful with their pulsating, geometric abstraction. It would be hard not to be riveted by the sheer scale of the IMAX screen – you could almost play out a continual test pattern and still have people mesmerized. But after the initial daze wore off, and the repetitivenes of the pumping house/techno music sunk in, it started to feel more like sitting in a comfy chair in a nightclub, rather than in a cinema. Not entirely engaging, but interesting to see what happens when a handful of music figureheads get the chance to add vision to their soundscapes, on a huge 2000 pixel-wide canvas. 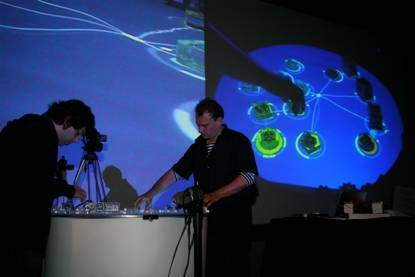 While this style of performance was not to everyone’s taste, it was hard to find fault the following evening’s performance by UK-based artists Semiconductor. The endearing uber-nerd couple presented two AV performances, with the most fascinating work entitled ‘Brilliant Noise’, an animation constructed from solar images of the surface of the sun, sourced during their residency at the NASA Space Science Laboratories. The sun’s surface flared and flickered, accompanied by a minimal electronic soundscape of zaps and whooshes, a perfect setting for the piece, which felt like a weird version of an IMAX space documentary. Artists Ruth Jarman and Joseph Gerhardt describe their work as ‘sound films’, where the sound triggers the computer code into action, subtly shifting pixels in a footage sequence or playing havoc with abstract shards of colour. 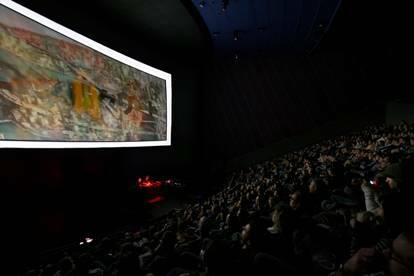 Friday night at Optronica saw VJ veterans Addictive TV take on the IMAX with their film remix performance, a hypnotic visual mash-up of films including City of God Amélie and Get Carter and a cast of thousands. Fast-paced and furious, the duo had the audience riveted with a barrage of memorable scenes, all cut to a booming house soundtrack and infused with hilarious soundbytes from the films. This was followed by cinematic luminary Peter Greenaway, who showed off his new live cinema performace, the Tulse Luper ‘stories’, an hour-long show about Uranium (yes, the radioactive substance), and a man’s journey with it. This was depicted by showing the contents of exactly 92 suitcases containing an odd assortment of objects, from ink, blood and a rotting corpse, to pairs of womens underwear. True to form, Greenaway didn’t give too much away in the form of narrative or a coherent meaning, but as usual, the imagery was beautifully rich. 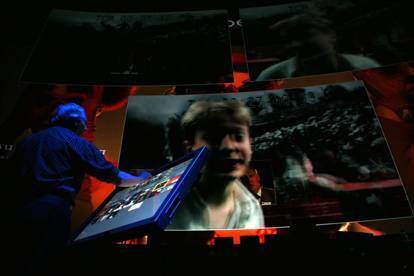 What was especially wonderful was the interactive device he used, a touch screen interface which he slid his fingers over to trigger the visuals, departing from the familiar performance-behind-laptop scenario. 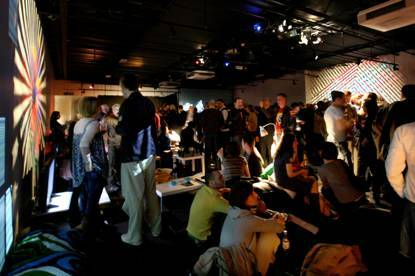 ‘Reactable’ was performed at various times throughout the festival at the Optronica Lounge, not far from the screening cinema. It provided a relaxed space for visitors to hnag about and experience a range of interactive installations with a handful of couches and beanbags thrown in for comfort. 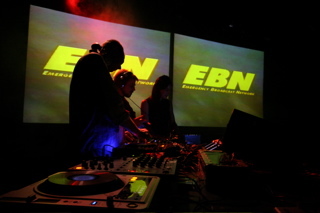 Satruday’s program gave a nod to the flourishing VJ and multimedia scene in Japan, with the ‘Big in Japan’ program. It began with a screening of rather cheesy Japanese animation, in which the common theme seemed to be depicting nature and flittering butterflies in a poppy 2d aestehtic, and even one bizarre 3d extravaganza of a video clip, with dancing lions and dragons to a hideously tacky rave track. Perhaps Addictive TV threw that one in for a laugh. Jokes aside it did leave a feeling that surely there must be better work coming out of the urban jungles of Tokyo and beyond. 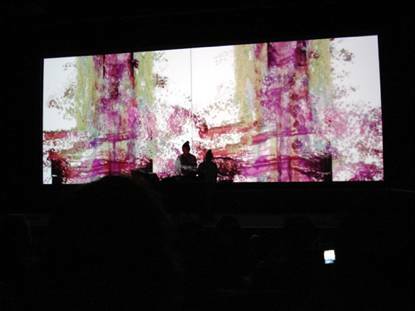 VJ Ryoichi Kurosawa’s performance which followed proved just that, with a stunningly executed live AV set that didn’t disappoint. This unassuming young man has made a career out of his work, touring extensively as an artist over the last few years. It was an audiovisual treat rich in colour, light and movement, using the two large screens behind to amazing effect, as if they were digital canvases being literally torn apart by the sonic rhythms that rippled through the theatre. The evening didn’t end there, but instead shifted over to the ICA for the club event, the final closing party which featured a host of DJ and VJ talent all teaming up to provide the entertainment and allow festival-goers to relax and enjoy themselves back in the familiar confines of a club. 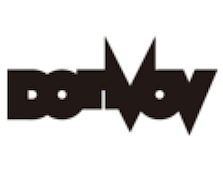 The night’s performers included techno pioneer Speedy J and US collaborator and film-maker Scott Pagano, a live set from veterans Emergency Broadcast Network, and a selection of local DJs and VJs. 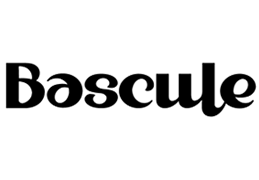 It was reportedly a real gathering of London’s AV scene, along with a healthy handful of European and international AV artists, and a rare occurance in what is a relatively small scene. The artists that stood out at the Festival weren’t necessarily the most inventive, or visually stunning, or high tech. They were the artists that could translate their ideas well into a performative context, and really demonstrate the link between the sound, the vision, and technologies they employed. It’s a form of live digital expression, and whatever the outcome, it felt fresh and exciting, and is an exploration that will continue to surprise as long as technology continues to open up new paths to explore.